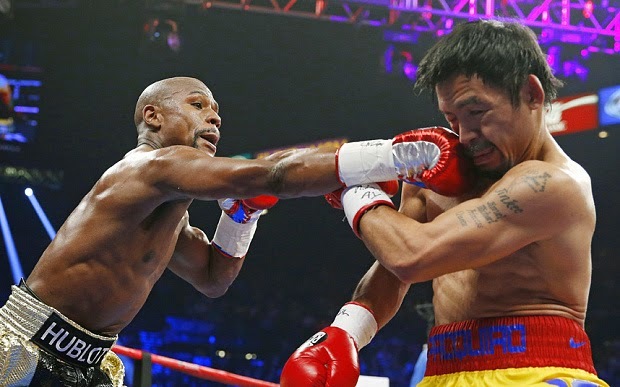 Floyd Mayweather Jr. vs Manny Pacquiao the most anticipated fight of the decade and the richest bout of all time has finnal completed with Mayweather wins by unanimous decision. 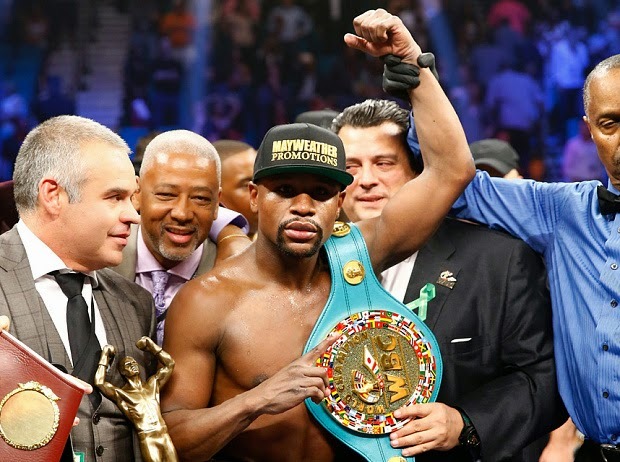 He's still undefeated... Mayweather Jr now moves his career record to 48-0. "First off, I want to thank God. I want to think all the fans around the world. This was a hell of a fight. I take my hat off to Manny Pacquiao, now I see why he is one of the guys at the pinacle of boxing. I am truly blessed. Manny Pacquaio is truly blessed. I am a calculating fighter. He is a tough competitor. I had to take my time with him. My last fight is in September. Charming and inspiring word for his sponsors as well. 'I want to thank my sponsors Hublot, one of the best watchmakers in the world.' So glad I stayed up for this..."
"It was a good fight. I got him many times. I saw the punches. I thought I won the fight. He is moving around, it is not easy to throw a lot of punches. I can handle his power. He is not strong like some others. He's not bigger than me, the size doesn't matter, I have fought bigger guys." What did you think of the fight? Fair result? Would you pay to watch a rematch? Who should these guys fight next?